96 pages | 40 B/W Illus. Branding Masculinity examines two ideologies of masculinity – one typifying rural agricultural areas and the other found in urban, business settings. Comparisons are made between these two current forms of masculinity and both similarities and differences are identified. Six product categories compose the Constellation of Masculinity for both groups. 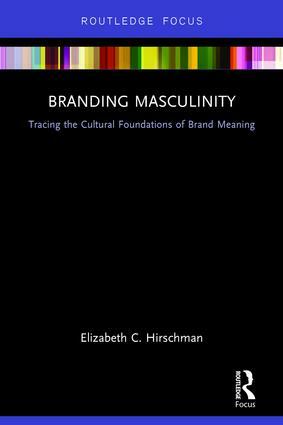 Hirschman selects a masculine prototype brand from each category and presents a detailed analysis of the images, language and marketing actions used to create the brand's masculinity over time. Using her method, marketers for other brands will be equipped to enhance the masculine status of their brands, as well. Branding Masculinity proposes that masculine brands are made, not born. Masculinity is an enduring cultural ideal which can be attached to a variety of products and brands by the appropriate use of symbols, icons and images. Scholars from various disciplines within the fields of branding, marketing, public relations and corporate identity will see this book as vital in continuing the academic discourse in the field. It will serve as a respected reference resource for researchers, academics, students and policy makers, alike. Elizabeth C. Hirschman is a Professor of Marketing at the University of Virginia’s College at Wise, USA. She is the author of over 250 scholarly publications in the fields of consumer behavior, marketing, advertising, semiotics, social psychology, psychology and anthropology. She is a Past President and Fellow of the Association for Consumer Research and has been named as one of the most cited persons in the field of business and economics by the Institute for Scientific Information.